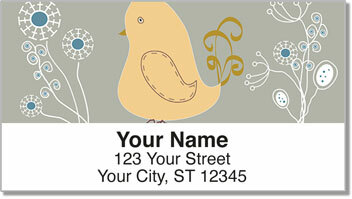 Adorable illustrations of colorful birds create a delightful design that can be conveniently used on every envelope and package you send in the mail. These offbeat and imaginative birdies have a bit of hippie style and a retro feel that takes you back to the 1960s. 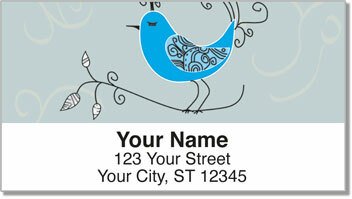 Whimsical Bird Address Labels are self-adhesive. That makes preparing your outgoing mail easy and breezy! 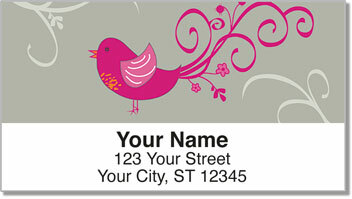 You'll be whistling like songbird as you stick these fun labels on anything that should be clearly marked with your name and return address. 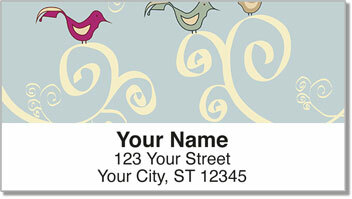 Get your very own Whimsical Bird Address Labels now! This unique selection is also available in a set of matching personal checks!